A video released by CBP on Friday showed 52 of those Central American migrants cutting through the chain link border fencing along the beach on Thursday before darting past a U.S. Border Patrol agent stationed on the U.S. side of the beach. Additional U.S. Border Patrol agents responded to the area, apprehending the migrants 300 yards away from the site of the breach and 15 minutes after the initial breach, according to agents familiar with the case. Agents eventually took a total of 52 migrants into custody, including 23 men, 12 women, and 17 minors between the ages of one and 14. Officials say that of the 52 migrants border patrol agents apprehended, all claimed asylum after their arrests. Ten additional migrants breached the same area of the barrier the following day, but Border Patrol agents eventually stopped them, authorities told KSWB. Border Patrol said the breached area of border fence had been repaired. San Diego County has had its fair share of migrants attempting to breach the border. 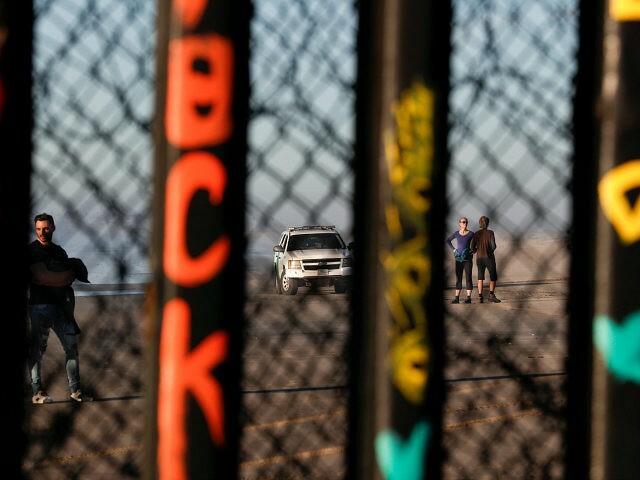 In November, CBP agents had to shut down the San Ysidro port of entry between San Diego and Tijuana after hundreds of migrants tried to breach the border fence separating the U.S. and Mexico.